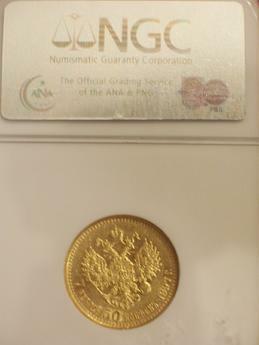 You are looking at 1897 7.5 Rouble Gold Coin graded XF45 by NGC (Numismatic Guaranty Corporation). Only 1 year issue, limited quantities. The front features the last Russian Czar Nicholas II. The back features the Russian Imperial double headed eagle. 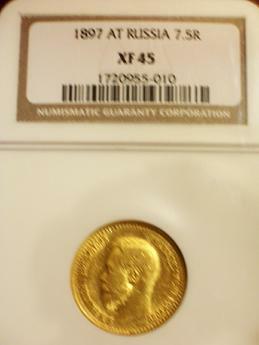 Great condition for a collectible coin that is 109 years old.